When Lou Gehrig took a break and ended his streak at 2130 consecutive games, it seemed to everyone that he would be back. 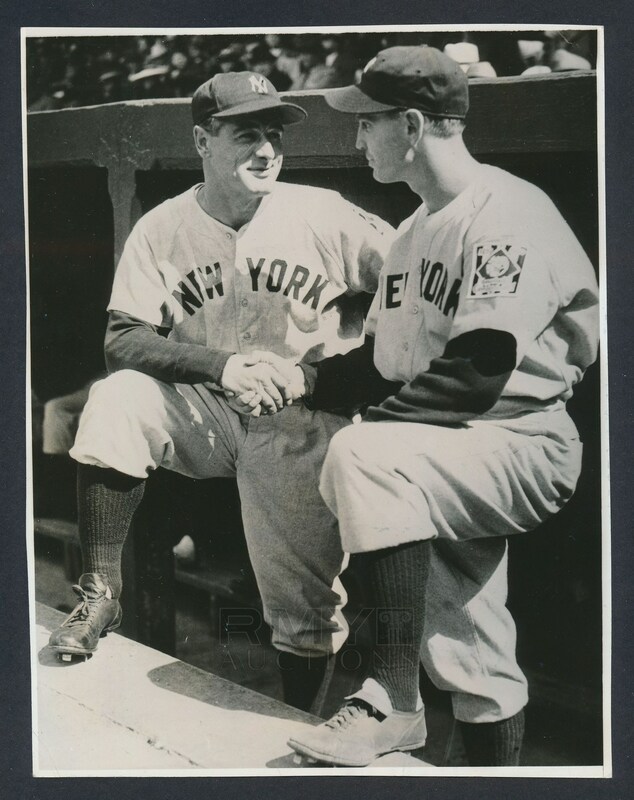 A young man named Babe Dahlgren however had been waiting for just such an opportunity and when Gehrig took time off, it provided the perfect photo opportunity for Gehrig, ever the gentlemen, to pose for a picture with the man who would take first base for the Yankees instead of Gehrig for the first time in over 14 years! A touching and important image, the paper caption even hints at the fact that Gehrig would be back and just needed a rest to get back into form. Issued well before anyone knew what was going on, this is a sad piece of baseball history and ranks among the most important moments in the history of the game. 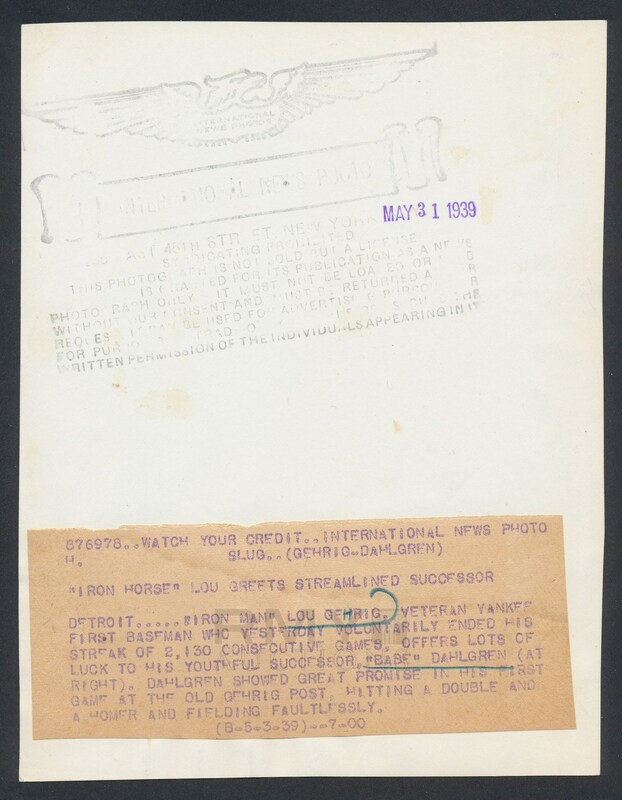 Issued by the International News and stamped on the back with a full paper caption on the back as well. 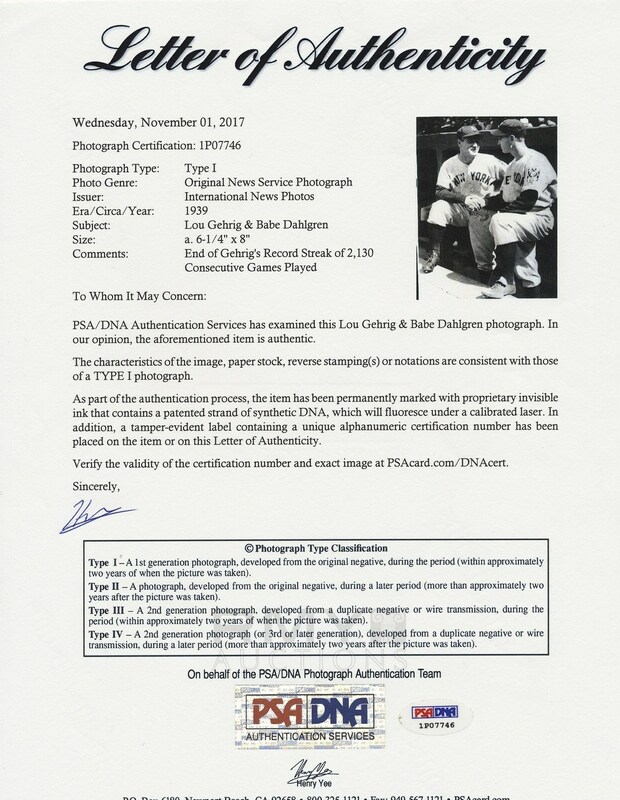 Photo has been authenticated as a Type 1 from PSA as well.